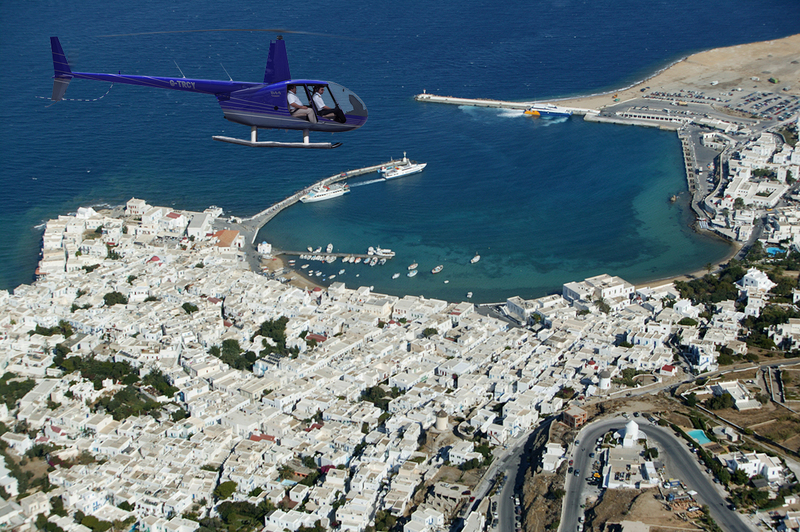 Book a helicopter flight to the most popular Greek islands and locations. Either for a leisure day-trip or for a fast and reliable transportation our helicopters are available for chartering all year round. 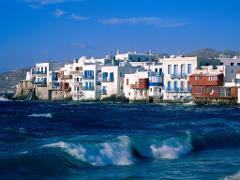 Mykonos: Visit the island's exotic beaches, Little Venice and the wind-mills. 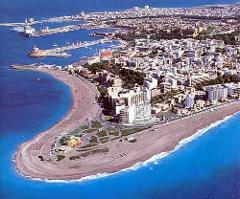 Crete: Visit the town of Heraklion, Elounda village and the Knossos Palaces. Athens: See the most famous Greek monuments such as the Acropolis and Parthenon from above and fly over the mythical temple of Zeus in Sounion, overlooking the Aegean. Folegandros: Explore the most charming town of the Aegean and swim at its crystal blue beaches. Please click the contact us button on right, or email us at info@amazing-santorini.com for a charter quote to the location of your choice.